SUMAVA RESORTS, Ind. (WLS) -- A second person has been charged in the stabbing deaths of three people in Sumava Resorts, Ind. Police got a call for help at about 8 p.m. Sunday in Newton County. But what was actually inside her home was much worse than a man bleeding. "When the first officer arrived on the scene, he found the body of a 20-year-old male deceased," said Sheriff Van Fleet. "There was considerable blood loss," said Newton County Coroner Scott McCord. "The young man, Justin Babbs, was found in one room separated from the others. The other two were in a bedroom together." The victims have been identified as Kimberly Sparks, 39, Justin Lee Babbs, 20, and Robert Thomas, the coroner said. Investigators immediately locked down the secluded neighborhood, wrapping yellow tape around the home. The search for the killer started immediately. "Shortly thereafter, due to the investigation, we had enough information to find a suspect for which a warrant was issued," Sheriff Van Fleet said. 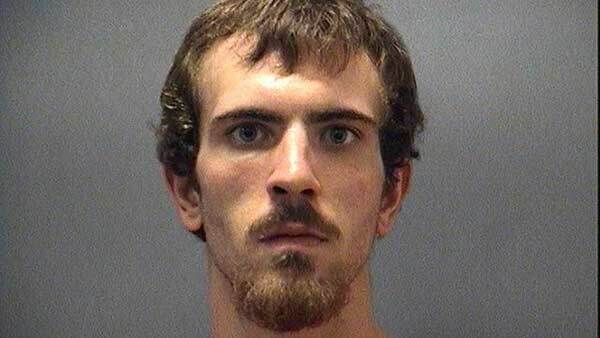 On Monday, Indiana State Police arrested Sebastian Wedding, a 24-year-old man from Cedar Lake. Investigators said he is locked up and charged with killing the three people inside the home. At 12:31 a.m. Wednesday, the Newton County Sheriff's Office along with Indiana State Police also arrested Derrick Thomas Cardosi, 24, of Sumava Resorts. Cardosi was arrested at his homee on probable cause for assisting a criminal and conspiracy to commit murder, police said. Cardosi is currently being held at the Newton County Jail. All three victims and the suspect lived at the rented home, the home's owner said. An autopsy determined all three victims were stabbed to death.